Your dental health effects every part of your overall health and body. Our approach understands this. It’s easy for dentists to miss this truth and focus simply on your teeth. Located right on 140, we are easy to get to from all over Carroll County! We know life is busy and we work to make your visit as simple as possible. We have a personal approach to family dentistry. That means a dental plan that is catered to your needs and also a care for you personally throughout the process. Dentistry has changed a lot in the last couple decades. Find a dentist who has stayed on the cutting-edge of newest technology and techniques. Kids love our office. From the exceptional staff with experience dealing with kids all the way to the “treasure box” prize at the end! Sometimes the best offense is a good defense. We are proactive in both your general and family dental care to ensure you don’t have problems in the future! An annual dental check-up is a good idea for all adults. People often don’t become aware of dental problems until considerable damage has already occurred. A dentist can recognize potentially damaging problems early. In addition, the dentist can diagnose other problems which cause bad breath including abscesses, periodontal disease, and impacted teeth. An appointment with Dr. Imm can be your best defence again bad breath and other potentially harmful oral diseases. Get rid of bad breath with a visit to the dentist. Dr Gary Imm can help you get rid of bad breath and bring good health back to your teeth and gums. Come in for a consultation. The cornerstone of successful periodontal treatment starts with establishing excellent oral hygiene. There is a lot you can do on your own to prevent or limit your chances of experiencing full out periodontal disease. White fillings for smaller restorations are made of a composite resin material. Large fillings are made of porcelain. These materials are exceptionally strong and stain resistant. They form an actual bond to your teeth and they look extremely natural. We all know when it comes to curing or treating any disease, the best defense is catching it early. Nothing could be more true than when dealing with cancer. Thanks to advancements and developments in technology, oral cancer screening is not only available but it’s accurate and effective. The VELscope system is the first oral cancer screening device to incorporate fluorescence visualization technology to help detect abnormal tissue, including cancer and pre-cancer. The science behind this technology has been supported by over $50 million in research funded by the National Institutes of Health and other prestigious organizations. Are you someone who experiences any pain and/or tingling when you drink hot or cold beverages, or when eating ice cream? Having sensitive teeth can really get in the way of your being able to enjoy drinking and eating. And because we need to drink and eat every single day, it’s important to have the healthy mouth and healthy gums that will allow us to eat and drink without experiencing any pain and/or tingling. One of the more common reasons why someone may have sensitive teeth is because they have unhealthy gums, which can lead to their having an exposed root or nerve. Because an exposed root can be quite painful, it’s essential for you to do what you can so that you can have healthy gums. Now there is a simple and quick way to treat your sensitive teeth. Did you know that your mouth is considered to be a gateway to your body? It’s true. Because there’s a direct connection between your mouth and your overall health, if you’re someone who hasn’t been taking proper care of your oral health then the chances of your having other health problems are going to be high. And the fact that many diseases first show up in our mouths make it necessary for you to pay very close attention to your oral health. 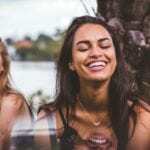 Because there are many people these days who are looking for a more natural dentistry approach, the choice for a holistic dentistry approach is now a great alternative dentistry option. Natural dentistry involves taking into consideration the entire body when working with your oral health, which is truly necessary. Here at All Smiles Care, we take a different approach to family dentistry in Westminster, MD. 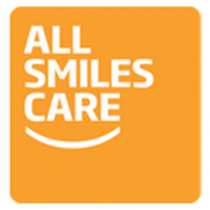 Our guests are really part of the All Smiles Care family! We want to provide the most professional care to our guests, but we believe that does’t mean we have to be cold or disconnected in the process. We hope your family can be a part of our family! Our exceptional staff that makes each visit a joy. The difference at All Smiles Care is our staff. We could talk about our facility, technology, and training…but ultimately its about our staff. We invest in the best staff and we know that it makes all the difference. The general and family dentists at All Smiles can’t wait to serve you and your family in Westminster, MD! Allow us to make your next visit great! a dentist for you and your family!